Reina with Michelle Parker in the saddle scored a hotly contested win the last week of the huge HITS Thermal circuit in California. 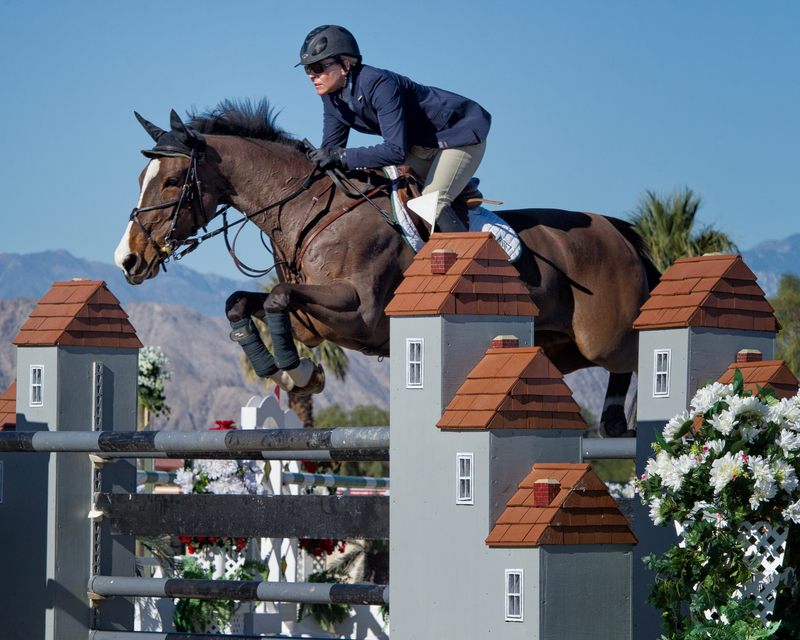 With 2700 horses on the showgrounds and international competitors at the peak of their game, Saturday’s featured class, the $15,000 PCHA Jimmy Williams Classic, was studded with top riders aboard their best up-and-coming horses. Five horse/rider combinations went clean in the first round and returned to go clean again in the jump off, but Reina’s smooth ride and fast time carried the day. Reina is the foundation mare of Rancho Las Tres Cruces. With time off for motherhood early in her career, she is already a grandmother but still competes successfully in top company. Congratulations to Reina and Michelle!